I used to be scared of change. I mean, I get a little leery switching shampoo (Hey, give a girl a break. I never know what it’s going to do to my unruly hair). Shampoo. I know. Crazy, right? Anyway, as I reflect on my life, I dealt with change. A lot. I had a crazy, pretty drama-filled childhood and a super-packed and incredibly busy college period. And now? Well, I’m trying to find some kind of order in my life as my schedule starts filling up again for the first time in YEARS. However, if I’m being honest, I’m finding this time of my life to be difficult to adjust to even though it’s exciting. Maybe it’s because I’m still in the beginning stages of this new season in my life. But why do I have a hard time with change now than I did before? Answer: I’m giving change a lot more chances to take over my schedule than I’d like. In the past, when I was much busier and I mean, much busier (full-time work and school, extra curricular activities and weekend campus and city events), I did it all and survived. I used a paper calendar and had a strict timeline to make sure I was on schedule on I’d be doing next on the to-do list. From there, routines started forming and my sanity began to take shape. Routines were my thing (and it somewhat still is) and I also liked being in my comfort zone. But I can’t embrace the fun side of change if I’m not take a few steps to go outside of my comfort zone. Not doing something is just as important as doing something. So much has happened in the last ten months (and there is still a lot going on) that I had to take a major thing off my plate. I purposely chose not to do anything remotely related to that thing and you know what? It still feels good. And it still feels right. Now, when it comes to embracing change, I just take it day by day and struggle with saying yes when a friend wants to meet to catch up. Why? My “me time” in my calendar is important too. Or I could be having a hard time with change because I’m changing too much in a short amount of time. Anyway, about this dress! 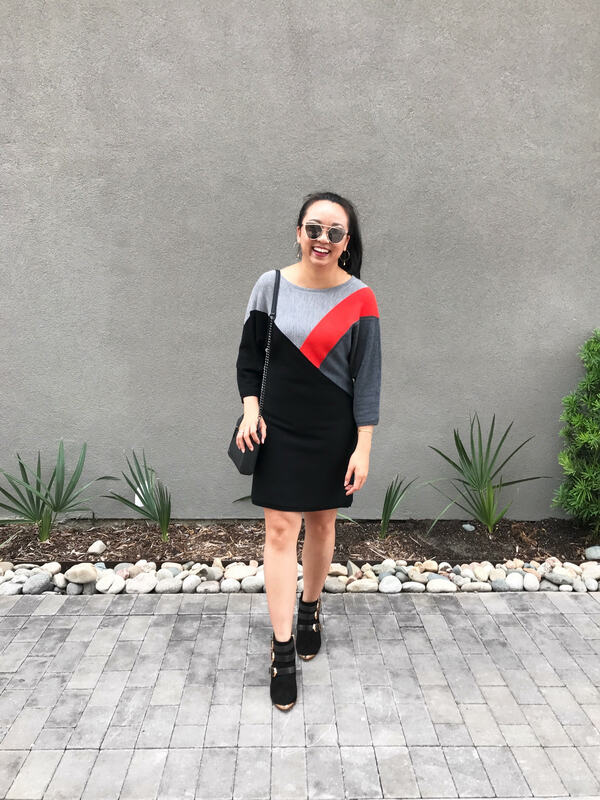 Can I say that I was so happy to be able to wear this sweater dress this weekend?! The cooler weather was the perfect birthday gift from God Himself! I shot this look on Friday before I headed to a church seminar for the evening. 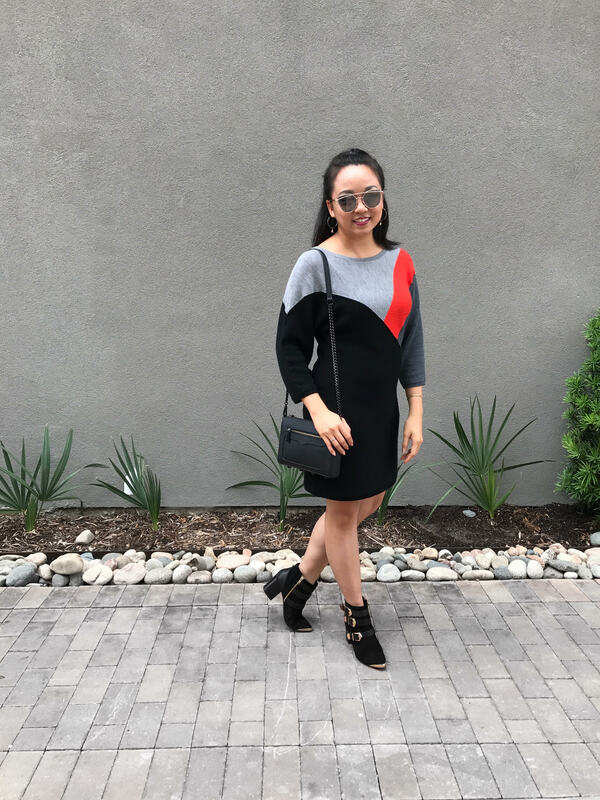 Now, color isn’t really much of my thing anymore, but when I saw this dress at Clotheshorse Anonymous, I figured I would give it a shot. I mean, 90% of the dress is black and grey so I could live, ha! It’s lightweight yet thick enough to keep me cozy and warm. The dress also has mini batwing sleeves and a black dress slip sewn into it which is very convenient. 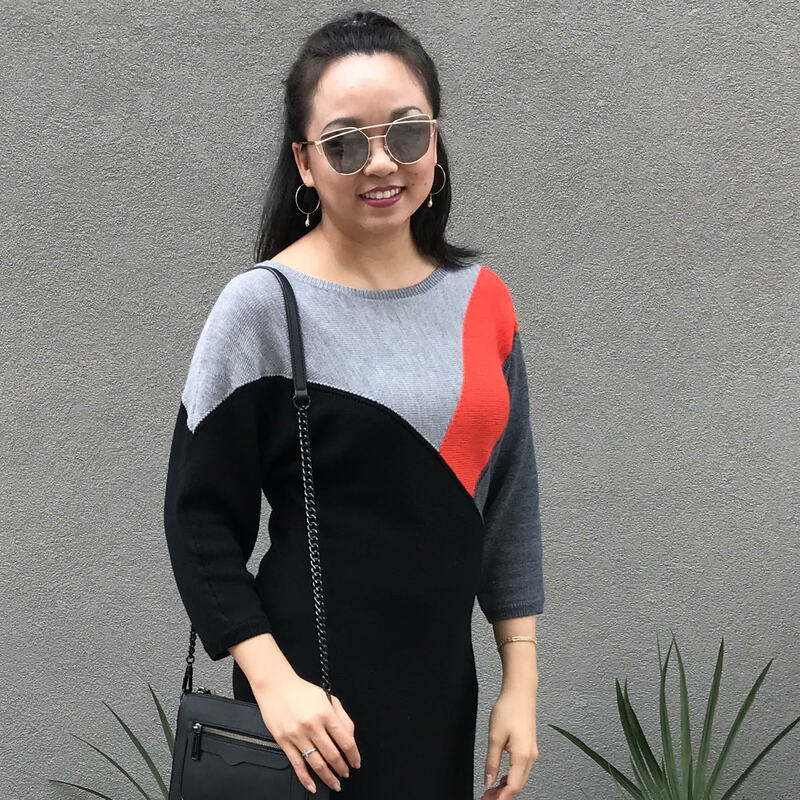 I can’t wait to restyle this sweater dress with completely different accessories! I’ve been cleaning out my closet little by little and lo and behold, I hardly own any sweater dresses. This is what? 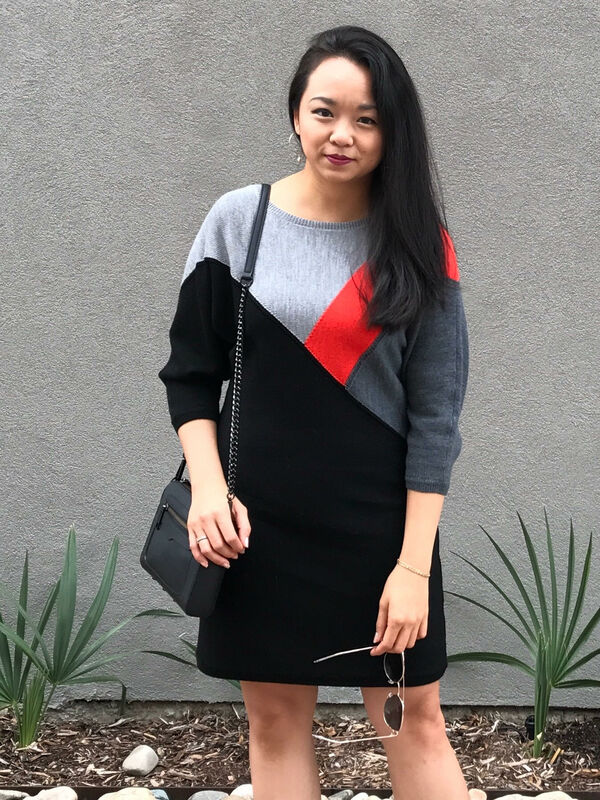 Sweater dress number three? 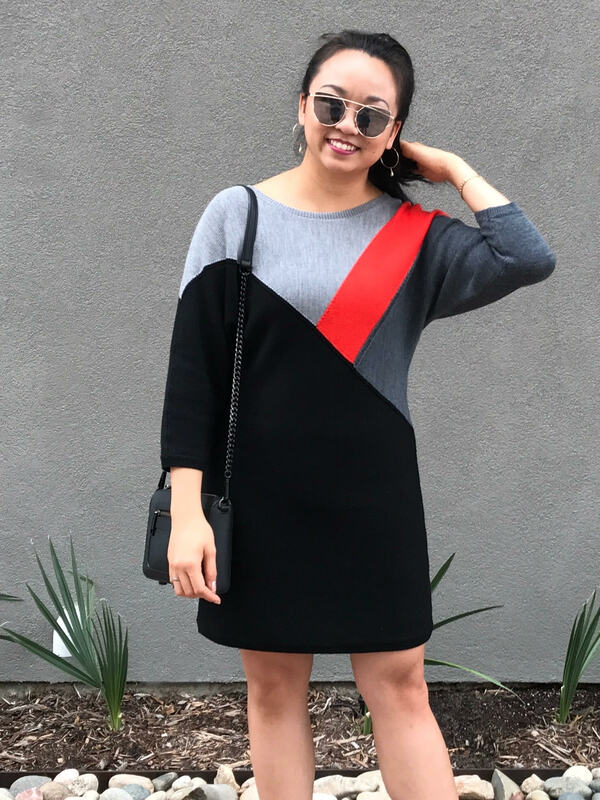 I should get a move on, but if our cooler weather is anything like last year, I’m just going to rotate between three sweater dresses. 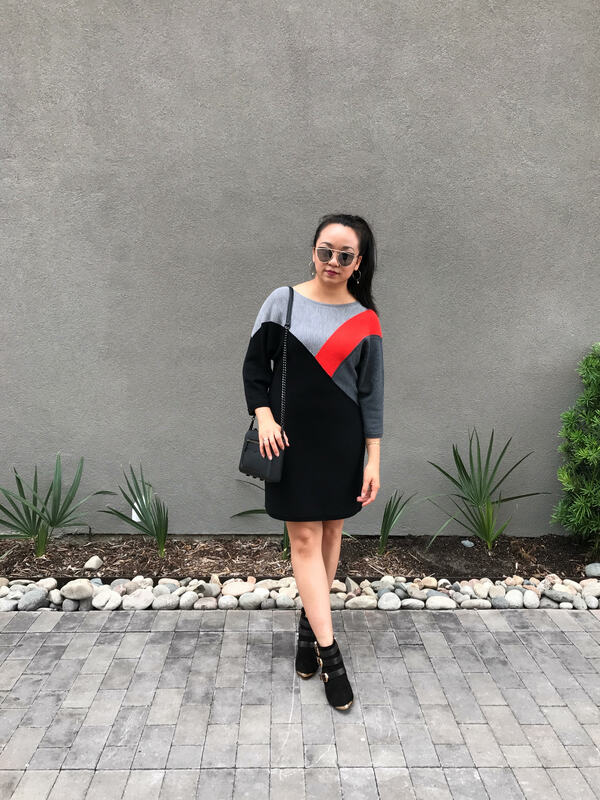 Are you a sweater dress kind of gal? 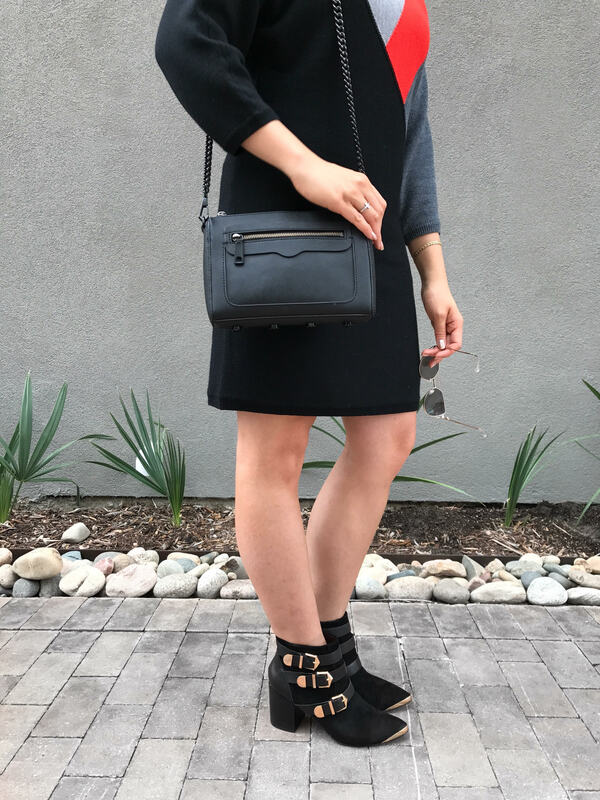 DISCLOSURE: Thank you to Clotheshorse Anonymous for partnering with me on this post! All thoughts and opinions are my own. As always, thank you for supporting my sponsors!